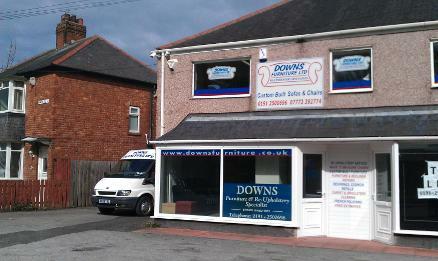 Downs Furniture is a family run business based in Cramlington. Our family have been in the upholstery trade for over 40 years.We pride ourselves on our commitment to provide a professional and speedy service at all times, whilst maintaining the highest quality of work. 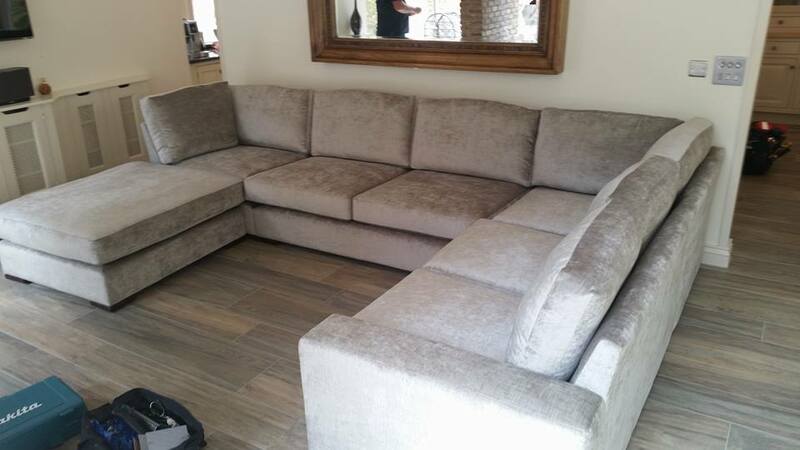 We offers Re Upholstery, Custom Built Furniture, Furniture restoration and more to domestic and commercial clients in Cramlington, Blyth, Whitley Bay, Newcastle, Northumberland and the North East. See below for full details of the services we offer. Here at Downs Furniture we offer an excellent re-upholstery service. Why go for something "off the shelf" when you already have exactly what you want! We can take your old furniture away and give it a full overhaul, Unlike most other upholstery companies we completely strip your items down to bare timber frame, then fully rebuild using new foam, springs, ect. Then recover it in the material of your choice. To make it as new as the day you bought it. It takes us on average 2-3 weeks from picking up to the job been complete and ready for delivery. We do a large range of upholstery: Hotels, Bars, Clubs, Caravans, Boats, Chairs, Stools, Headboards. Gym Pads, just about anything that can be recovered. All of our chairs are made to measure and are upholstered by our skilled craftsmen. Height, depth and width are all measured so that we can make you a chair that fits you perfectly, so it doesn't matter if you are small or tall we can make you a chair. All chairs come with built in lumbar support for extra comfort and come in a large choice of fabrics and leathers. You don't even have to leave your home to try out our chairs because with our free home measuring service we will bring them to you. 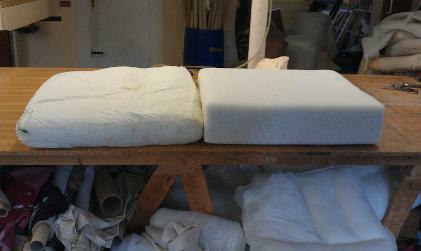 Downs Furniture Ltd Foam Cushion Re-filling Service . Can replace your current foam, fibre or feather cushions with a high quality Premium Reflex 40H foam. We currently stock a large amount of foam and most cushion refills can be done within 24 hours. Why not give us a call to arrange a free no obligation estimate. Recommended uses include: Dining Chairs, Headboards, Foot Stools, Window Seats, Bench Seating, Boat, Caravan and camper-van seating and mattresses. Sofa, chair cushions. Highly recommended if replacing feather of fibre filled cushions. Recommended for every day usage. Any application where the foam needs to be medium firm and fatigue resistant. Here at Downs Furniture we specialize in manufacturing custom built furniture and all the work is carried out on site which allows us to produce furniture to our customer's specification at no extra cost. We can make anything even from pictures from the internet , magazines ect.. 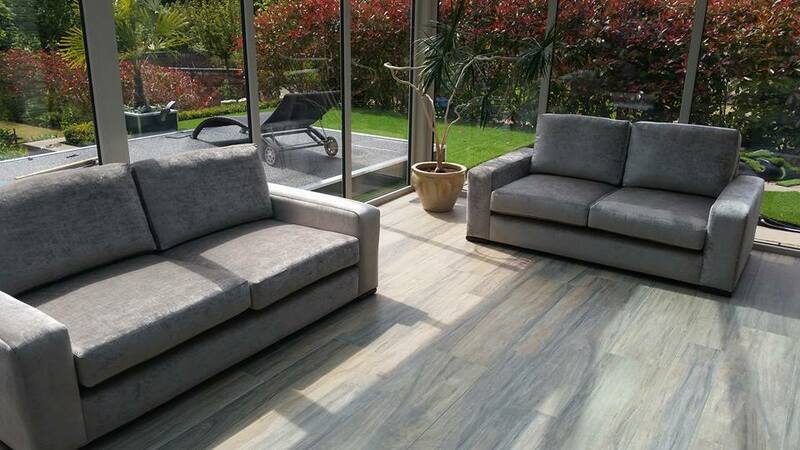 In addition to this we can adjust height, width and modify any existing furniture In just about any way to ensure that all furniture purchased from Downs Furniture meets with our customer's exact need. All items of furniture are tailor made and we don't mass produce anything we Build. Furthermore we have a large range of fabrics and leathers in various Colours so it will be easy to blend in with your existing furniture. We offer a large range of repair work from sofa fixed seat foam replacement, full re-springs, recliner repairs to timber frame repairs. All work is carried out in our workshop and comes with a full guarantee.